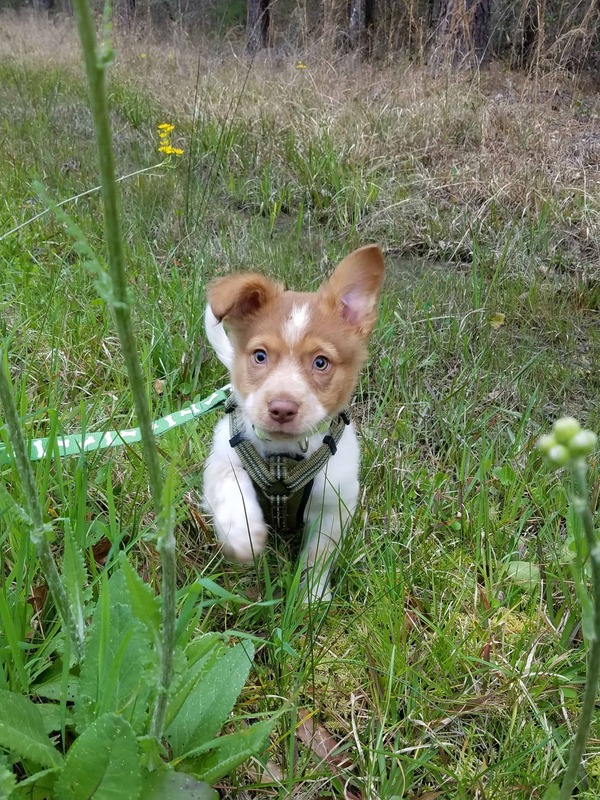 Tucker is a sweet energetic 10 week old Australian Shepherd/Cattle dog mix. He is a bright boy and loves walks and outside play, so a fence is required for Tucker for his safety and well-being. Tucker is in an Expen when his foster parents are away from home. Tucker is making great progress on housebreaking. He walks well on a leash but will sometimes nip our legs. He also nips with excitement when playing as do most herding dogs, so we feel Tucker would do better in a home with older children. He loves toys, playtime and to be cuddled. Tucker has a little separation anxiety when separated from his foster parents.He is doing better but still barks at night and needs to go outside several times during the night. We think Tucker would do well if his forever family did not have long hours away from home. Tucker is on Sentinel for heartworm and flea prevention. He has an ophthalmologist appointment on 3/27, and a vet visit for his third set of vaccines on 3/28. To view a video of Tucker please click here. Tucker is looking for his forever home. If you think it could be yours, read more about Adopting from BDRA before submitting your application below. BDRA relies on your donations to rescue blind dogs around the United States. Please consider giving in support of Tucker.